…remote (garden) lights based on the level of visibility. 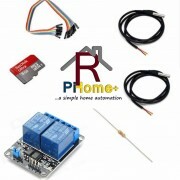 Place a light sensor on a spot you wish to gather the information from, and setup the threshold value to remote lights. Task example: After the exceeding of the threshold value (the light sensor status becomes high), and it is after 19:00, the Raspberry Pi will turn on the outdoor lights. 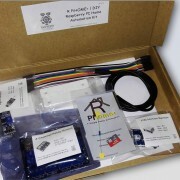 If you connect an additional PIR sensor to your Raspberry Pi, you can remote the lights upon a movement. Task example: If the PIR sensor is triggered, then R PiHome+ checks the level of visibility and current time. If all conditions were met the light relay will have been turned on for 15 seconds.